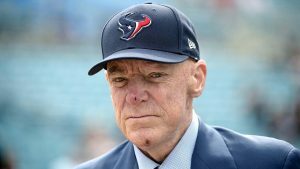 Bob McNair was the Apology a Lie? The owner of the Houston Texans, Bob McNair, recently made a comment for which he later apologized. A National Football League player named Richard Sherman thinks the original statement was a true indication of the feelings McNair has and that the apology is merely pretend. What I’m going to discuss is not the nature of the comment itself but the reality of Sherman’s analysis. To get you up to speed, there is an ongoing issue in the NFL in which players are kneeling or otherwise protesting during the playing of the national anthem. The owners largely do not like this. McNair was quoted as saying something along the lines of: We cannot let the prisoners run the asylum. This equates the players in the NFL to incarcerated people. McNair was apparently confronted shortly after making the statement and he apologized. Sherman believes McNair truly meant the statement, that he associates the players with inmates. People who should have no say as to how the team is managed. Sherman believes the apology a lie motivated by politically correctness. Sherman believes McNair is not alone in his opinion. Sherman thinks other NFL owners feel the same way, players are to be used as best as possible and discarded when their productive years are behind them. Sherman also believes not all owners think like this. He thinks the owner of his team, Paul Allen, does not think this way about his players. We cannot know for certain if McNair’s original statement is his true opinion or not but I think it’s an interesting question. Did McNair mean it when he compared NFL players to prisoners in an institution? Is he bowing to business expediency and political correctness by pretending to apologize? I think Sherman’s opinion is legitimate. I think there is quite a good chance McNair truly believed what he said and, upon reflection, realized it was a terrible thing to say. Or perhaps McNair is simply pretending to apologize. That he, in his heart, believes what he original said. Again, we have no way of knowing the answer to this question, only McNair can tell us. Sherman goes on to make an incredibly interesting point. He says he would rather McNair tell the truth, even if it is antithetical to Sherman’s own beliefs. Sherman would rather know the honest opinion of McNair and thereafter avoid him. Let’s imagine I know someone whose opinions on a subject are deeply offensive to me. Would I rather they pretend not to have those opinions when around me, or would I prefer if they told me exactly what they were thinking? I find myself in complete agreement with Sherman. If you have an opinion, state it. If I don’t like it, well, it’s up to me to decide if I want to be around you in the future. Sure, when you make a statement I don’t like, I can speak up. Trust me, I do. If you refuse to back down then we are at an impasse. The ball is in my court. I can choose to associate with you in the future or I can choose to avoid events at which we might meet. If we do meet, I can choose to circumvent topics of conversation where I know we conflict and focus on areas where we might agree. I do not disagree with anyone about all things nor do I agree completely with anyone on all subjects. I, like Sherman, would prefer to know you true opinions. Then I can make judgments and take actions that I deem appropriate. My opinions are in my blogs and my novels for all to see. I’m an Atheist. I’m a Libertarian. I don’t suffer fools lightly. If that offends you, and there are many who are offended, then the ball is in your court. You can choose to engage me or avoid me. You can choose not to be friends with me on Facebook so you don’t have to see my thoughts on various topics. That’s cool. I respect that. I think that’s Sherman’s point here. He wants McNair to be honest. If they disagree, so be it. What he doesn’t like is saying one thing while behind the scenes doing something else entirely. Say what you mean, and mean what you say. That’s not to say you shouldn’t apologize if you say something and upon further examination realize it was truly awful. You are allowed to change your opinion. I certainly hope McNair is truly sorry for what he said, that he realizes the condescending nature of his statement. Then the apology is warranted and should be accepted. I’m sure Sherman, and others, will be watching McNair more closely in the future. Will his actions down the road support his original statement or the apology? That’s the true test. We can say anything we want. It’s our actions that prove the integrity of our words. 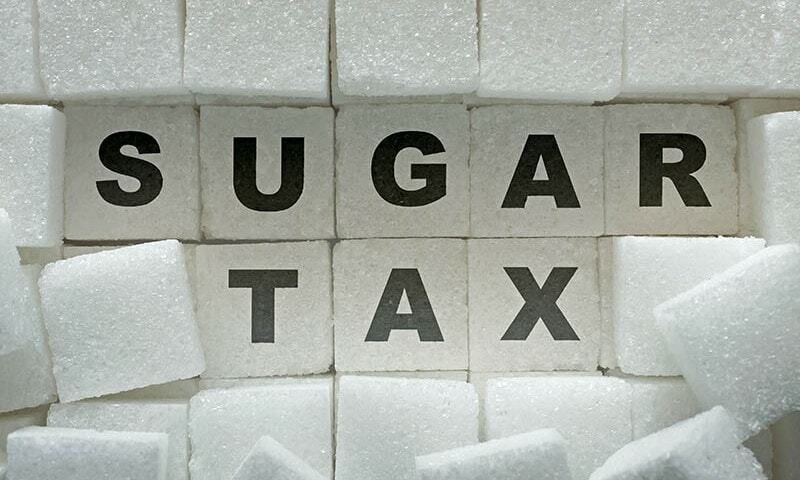 Should We Tax Sugar to Reduce Obesity? 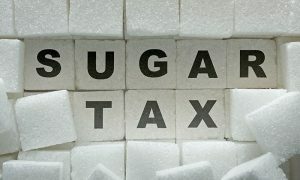 A new study suggests taxing sugar is a far better way to control the enormous cost associated with unhealthy citizens of the United States than product specific taxes. I have no problem with the conclusion of the study, it’s most likely correct even though it is based on simple economic models rather than actual implementations. I do, however, have a problem with using taxes to control the behavior of citizens. Let’s assume it is completely accurate to forecast an obesity drop and a correlating reduction in the diseases that come from being overweight; heart disease, diabetes, arthritis, cancer, and others. If this sugar tax was put into place we could expect to see a substantial savings in healthcare costs associated with the treatment of all those disease. We’d see fewer missed workdays. There are any number of societal benefits to a healthy population, this cannot be denied. I’m all for these results if not the methods. What are some of the arguments against such taxes? There are certainly undesirable impacts on the sugary drink industry but these negatives are presumably offset by gains in other places. If people move away from sugary drinks they will move to something else. Perhaps they will purchase more tea or water. So, not a bad thing you might say. I’d say, yes, very bad thing. The industries so benefiting have a competitive advantage against the sugary drink companies brought on by government intervention, capitalism has been subverted by crony capitalism. Frankly, I wouldn’t be surprised if the attempts to tax soda and the funding for studies like the one I referenced earlier were not coming from such industries. When the government becomes involved in which company succeeds and which company fails; then such businesses are forced to attempt to corrupt government as a means of survival. We know for a fact the producers of sugary drinks will see the cost of their products rise. This is the desired outcome. When the price rises, people stop purchasing. Well, at least some people. The reality is many people continue to drink such beverages but now have less money to spend on other things, perhaps a new cellular phone or deck for their house. Each dollar we take out of consumer’s pockets must be accounted for on the scale. Thus, the effect on many industries is negative, not just the sugary drink providers. The idea of taxes in general is to support government programs. We pay a gasoline tax largely to fund road related services. In this case there is no correlating service. We’re merely doing it to try and get people to behave in a way the government thinks best. This deeply offends my Libertarian ideology. I think it is important to consider the government’s role in milk and cheese production. Our tax dollars go to these endeavors including advertising campaigns. The consumption of such food is not necessarily healthy. If we trust the government to promote or demonize one thing, we cannot be upset when they do so for many different things. This is my biggest problem with a sugar tax. By empowering the government to tax simply to engineer a particularly desired behavior, we essentially give them carte blanche to promote any such behavior. I do not think it takes a leap of logic to understand that unscrupulous business owners will immediately look to subvert this supposed altruistic process. They will immediately, let’s be honest, they are already, attempting to get government to work for their industries. Even when the government is right, sugar filled drinks and food contribute to obesity and we should probably be eating and drinking less; we cannot allow it to act as an agent for or against a particular industry. The more government has the ability to shape our purchasing habits, the more it will become corrupted by industry. In essence, the government will simply become a corrupt agent of particularly industries. This is not its intended role. Sadly, I’m of the opinion we are well on our way to such a state of affairs. It does not bode well. 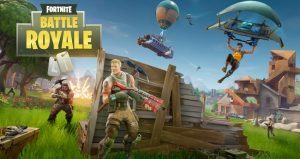 There is an interesting situation in the video game world in that a company called Epic Games is suing players of their game, Fortnite Battle Royale, for cheating. What’s that you say, video games and the law colliding? Have I died and fallen into the noodly appendages of the Flying Spaghetti Monster? It’s time for a Happy Dance and a blog. A website called Twitch.tv allows players of video games to stream their efforts for a live audience. One of my favorite streamers, Sacriel, plays the game in question. It is what is called a Survival game with cooperative elements. This means one player or a team of players roam the world finding weapons and battling other players or teams of players. A player like Sacriel joins a particular instance of the game. This lasts until there is only one player or team left on that particular instance, at which point another game begins. Cheaters watch the most popular streamers and join the same game, this is called Stream Sniping. The cheaters then attempt to defeat the streamer and often use against the rules code supplements to make themselves virtually invulnerable. This is the cheating aspect of the situation. Epic Games bans such cheaters when they spot them but the Stream Snipers generally create a new account fairly quickly. In this case one of the people being sued created at least nine other accounts after being banned. In the legal system, in order to sue someone successfully you generally have to prove damages. So, you might well ask, how is cheating damaging Epic Games? It’s just a few players being killed and they can just start up another game, right? Not to my way of thinking although we will have to wait until the courts weigh in on the matter. One of the interesting realities of people using platforms like Twitch.tv to stream games is the revenue thus generated. When an engaging and technically skilled player like Sacriel plays a game like Fortnite Battle Royal, the game gets enormous promotion. When gamers see Sacriel enjoying himself immensely they too want to play the game and make the purchase. They even get an opportunity to test their skills against such streamers which is a big selling point. There is quite clearly direct correlation to game sales and popular streamers. When Stream Snipers become prevalent, top streamers like Sacriel simply get fed up and quit the game. There isn’t much point in playing whenever you start a new game an invincible opponent arrives and kills you. It’s not fun for the streamer and it is not enjoyable for the audience to watch. Therefore, the streamer stops playing which, in turn, directly affects game sales. As a Libertarian I’m also quite happy with the way this has played out. Epic Games attempted to simply ban such cheaters but when they were unable to effectively implement this tactic they were forced into legal remedies. I always appreciate trying to solve the problem without resorting to legal or law enforcement agencies, but there comes a time when reason is not an effective tool. I think Epic Games has a case and I’m quite interested to see how this all plays out in court. I’m not of the opinion the Stream Snipers should be put in prison but hit her or his wallet and I think you have effectively curtailed the practice, and that’s a good thing. I was thinking about the idea of an apology. You say or do something you regret. You say you’re sorry. The natural reaction of the person or people you’ve offended or angered is to accept the apology. It is almost as if some part, if not all, of the original transgression never happened. But what is an apology? Just words. I’m beginning to become skeptical about accepting those words, they are merely a way for the person giving the apology to feel better. I’ve decided I don’t want apologies anymore, I want to see a change in your behavior. That’s a real apology. If that’s beyond you, fine. Let’s both move on. I’m sure this is coming across as rather cruel and heartless and perhaps it is. 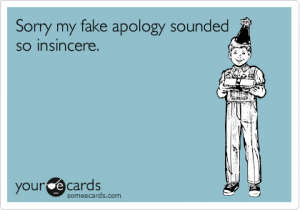 It’s just that I often see people giving what appears to be heartfelt apologies for particular misbehaviors and then going right back to repeating the offending behavior in exactly the same fashion. 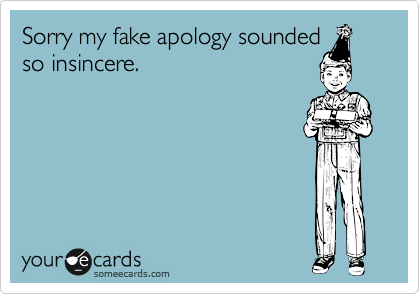 I’m sometimes willing to believe the apology is sincere. The person does feel bad about what she or he did. But the apology is nothing more than a symptom masking panacea. The offending person is fixed and can go on about their life without further worry, until they do it again. It’s an endless cycle of misbehavior and apology. There is no effort to fix the underlying problem, or perhaps there is an attempt but it ends in failure. The apology is a central part of the ongoing problem. It seems to me, quite frequently the words are completely phony. The person is only apologizing because the behavior generated unfavorable results. The person isn’t really sorry at all. They are sorry about the consequences but they acted exactly in the fashion they desired. The only thing they’d change about the incident that requires an apology is the resulting upset. However, if the person actually changes their behavior over the course of the next several years, that would seem to me to be a real apology. I’m sorry I did something and I recognize what I did was wrong. Every time I’m in a situation in which I could repeat the behavior, I react differently. That’s an apology I can get behind. So, there you have it. If you offend me and aren’t sorry. That’s cool. Tell me you’re not sorry and I’ll deal with it. If you are sorry, change your behavior. If I offend you, tell me about it and I’ll try my best to change my behavior if I feel I was in the wrong. Apologies aren’t worthy of accepting or rejecting. Sometimes I wonder why I don’t have a lot of friends, then I remember! When the leaders of a nation decide they want to act in a way the United States perceives as detrimental, the general solution is economic sanctions. The idea being that such sanctions hurt the offending nation and politicians eventually give up on their policies. What I’d like to discuss today is what really happens when we implement economic sanctions on another nation. One of the main arguments against such sanctions is the leaders of the nation don’t suffer any impact but the average person in said country is economically disadvantaged. The argument for sanctions hopes the people will blame their government for lack of goods. Unfortunately, I think it is much more common to blame the nation imposing the sanctions. It drives a country deeper into behavior we dislike. However, this objection is the least of my troubles with sanctions. One of the biggest problems with sanctions is that, like a sword, they cut both ways. When we limit trade with a foreign nation we are now preventing companies within the United States from making a profit by selling to willing buyers. As an example, I have a number of family members and friends who work for Boeing and they are hurt by the fact their employer cannot sell goods to quite a few countries in the world. For many companies, this is certainly the difference between growth and hiring and shrinkage and layoffs. There is no question all the economic sanctions we are currently prosecuting badly hurt industry in the United States. How much business could be, and should be, done with Cuba? Another enormous problem is there is largely a “Don’t Ask, Don’t Tell” policy when it comes to sanctions. When we ban selling or purchasing a product from a particular nation it hardly stops such activity. It simply pushes it underground. 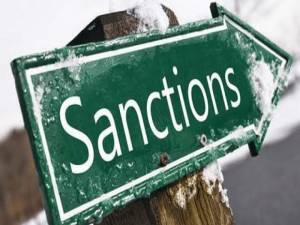 Many of the companies and nations who supposedly support such sanctions actively work around them in a variety of ways, chief among them is simply maneuvering and repackaging product. Basically, if we aren’t allowed to sell something to a country, that product is shipped to a third-party nation that does trade with the proscribed country and the commodity is simply packaged in a container to disguise its point of origin. And, of course, the reverse happens in purchasing such goods. The offending country ships things to a willing nation who then repackages and sells back to the United States. The second problem leads to the third, which is the creation of a black market where criminals gain huge profits at the expense of regular consumers. The moving of these goods must be done by extralegal sources or officials who are taking bribes to perform the necessary maneuvering. Now we are empowering criminals and corrupting officials. The product should be shipping at a certain cost but the price goes up because of the sanctions. Thus, when you purchase a product that might somewhere on the supply chain pass through the country with sanctions being imposed against it, you pay an increased price. Likewise, the illegal maneuvering to avoid sanctions leads us to the fourth problem: Enforcement. Thousands of people and billions of dollars are spent trying to prevent nations and companies from maneuvering their goods in an attempt to avoid sanctions. We have agents at ports around the world inspecting packages and trying to make sure they actually come from the country of origin the packaging claims. This costs taxpayer directly, as opposed to the more indirect cost of higher prices. Highly trained law enforcement officials spend their days and nights trying to figure out how nations and corporations are avoiding the sanctions when they could well be doing something more useful. The amount of time and money spent trying to enforce sanctions is astronomical. The final point of my argument against sanction is they simply do not work. The nation in question continues functioning in a fairly normal way. They continue to sell their goods to willing buyers; either nations that have not imposed sanctions or through a black market. Sanctions apparently do no good whatsoever, cost us huge amounts of money, waste the time of highly trained professionals who could be doing something else, generally harm the average person of the offending nation thus cementing their hatred of the United States, corrupt officials, funnel money to criminals, and cause an increase in the price of the goods you purchase. Yay! Let’s take a quick moment to look at the results if we continued to trade with nations who we consider our enemies. Our companies make a profit, the people of those nations look at us more favorably, we pay lower prices, and there is an opportunity to open lines of dialog to bring about the change we are attempting to create through sanctions. It’s a natural reaction to want to punish nations we think are behaving poorly but a better strategy is to engage. Better for everyone. I ask for all sanctions, to all countries, be dropped immediately. 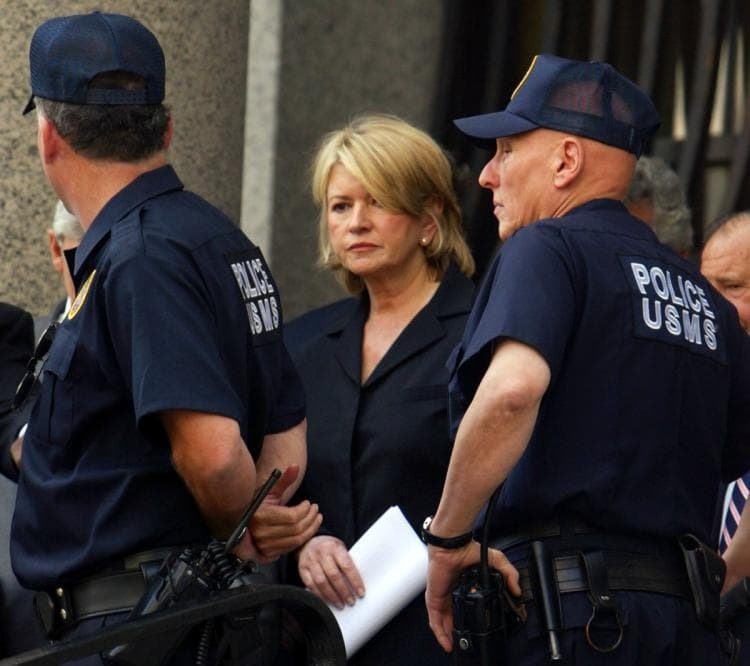 I’ve been reading a number stories about Martha Stewart and her feelings about being imprisoned in 2004 for conspiracy, obstruction of an agency proceeding, and making false statements in regards to the sale of ImClone Systems stocks. She felt it was a horrible experience and she learned nothing from it. I think there are a number of things to take from Stewart’s opinion on this subject not the least of which is that she was convicted in what most people would regard as questionable fashion and I would classify as grossly unjust. I find her words about her imprisonment resonate strongly with me. She was not made stronger for her stay in jail, she learned nothing, she did not become a better person. It was horrible in every regard. This is an indictment of our prison system. First, I’d like to talk about her conviction. She sold some stock shortly before it went down by 16% and avoided about $50,000 in losses. This may seem like a lot to you and me but to a woman of her means, it is a fairly trivial amount. Her broker supposedly was informed by an insider that a drug the company was promoting failed to gain approval. 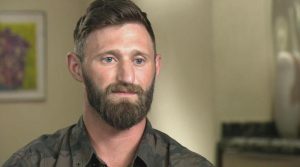 Stewart claimed there was a standard order to sell when it reached a certain price, $60, and had documentation that such an order existed. An ink expert from the Secret Service testified the ink on the order for the ImClone sale was different than other ink on the document. He lied. He hadn’t even examined the document. Another worker examined it and it was clear she had a grudge against Stewart. The case of securities fraud against Stewart was so flimsy the judge threw it out of court. But, Stewart insisted the order for sale at $60 was real and she was convicted on charges related to these statements. This despite the fact the person who claimed it was different ink was lying. She was not convicted of securities fraud. The civil case was eventually settled with Stewart paying the government the equivalent of triple damages although she maintained her innocence. So, off she went to a minimum-security prison. Here’s where her comments really caught my eye. She was asked if the sentence and imprisonment made her stronger. If the adversity was essentially good for her. This question reflects what we’d like prison to be. A place where inmates reflect upon their misdeeds and emerge the better for it. No, said Stewart. It was not a learning experience. It did not make her stronger. It was horrible. It was only her own strength of character that allowed her to endure. This confirms my opinion that prison is not making better people but is largely making better criminals. It is not turning criminals into good citizens but conversely, turning good citizens into criminals. This assessment is coming from an undeniably strong woman who was sent into what is largely considered the least penal sort of prison. Imagine men and women of lesser character getting sent to far worse places. We turn a young person who perhaps robbed a store, got caught with some small amount of drugs, or perhaps got into a drunken fight into a hardened criminal by sending them to our failed jails. If the goal is to have a better society, to have better people, then we must listen to what Stewart has to say. If we merely want to punish people and ensure they are more likely to commit crimes after their release, then we can safely ignore Stewart’s advice. It’s important to note that Stewart is not merely answering a question, she is unleashing a stinging and startlingly accurate indictment of our entire system. I’m not surprised, she is a woman of tremendous strength. If you choose to ignore her, do so at your own peril. More and better criminals is not a recipe for a successful society. 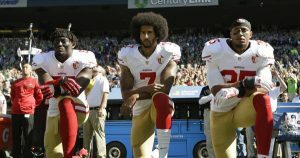 There is an interesting phenomenon going on surrounding the behavior of people during the playing of the national anthem. I don’t want to talk about the reason behind the kneeling but the reaction to the protests. There are largely two categories of offense in these situations. Either you are affected or you are not. Protestors can act in a way that directly or indirectly affects me, or can perform it in a manner that has no impact on my life. The national anthem protests fall into the latter category. Blocking traffic would be the former. Your reaction to events that don’t affect you is an insight into your character. The stronger you are as a person the less you should react to affronts that don’t affect you. If you are secure in your patriotism, why would you feel the need to force someone else into an act you deem patriotic? It is your own insecurities that rouse your ire, much more than the protest. Biblically, Jesus used the idea of love to demonstrate this principle. If you love yourself, you love everyone else. Their feelings toward you are irrelevant, if they hate you that is too bad but it doesn’t change your opinion of them. It is only when you have feelings of doubt and insecurity in yourself that you worry what other people are thinking. Buddha and enlightenment is another example of this principle. The more secure you are in your own opinions, the less you feel it necessary to make others conform to those particular standards. I’m certainly not criticizing anyone for standing during the national anthem but I do find their rage and urge to punish anyone who does not to be an underlying weakness of character, not a strength. If you really believed in your patriotic stance, you wouldn’t need to coerce others through force, economic or social, to conform to the ideologies you hold dear. You would simply smile and be comfortable in your own behavior. Those who are secure don’t need to be constantly reinforced by others. Those who are weak, who are insecure, require such reassurances. I’m also not suggesting that such strength is easy to acquire and to demonstrate consistently. I think the ideals proposed by stories of Jesus and Buddha are essentially unobtainable, but still well worth pursuing. Everyone gets a sense of ease from being in a group of like-minded people. It is simply human nature to enjoy such comradery. When I am in a large group of people who share my ideology, I am reassured that I myself must be correct, this is a false comfort. Their agreement, or disagreement, with me has nothing to do with my own opinion. I don’t hold myself up as a shining example of strength or perfection, but I also feel secure enough in my own beliefs that I don’t attempt to forcefully make people do as I do. I’m a Libertarian and an Atheist but I’m not offended by Democrats or Christians. I make my points as honestly as I can and I leave the decision up to you. If you choose to believe or behave differently than me, so be it. Best of luck to you. This is strength of character. Not that I’m telling you how to act. That’s your decision, I am suggesting you look at your behavior with an eye toward critical thinking. Trying to force people into conforming to your way of doing things is a sign of tremendous weakness and insecurity, not power.